Lobster is practically the perfect food: high in protein, low in fat and calories, and so tasty. 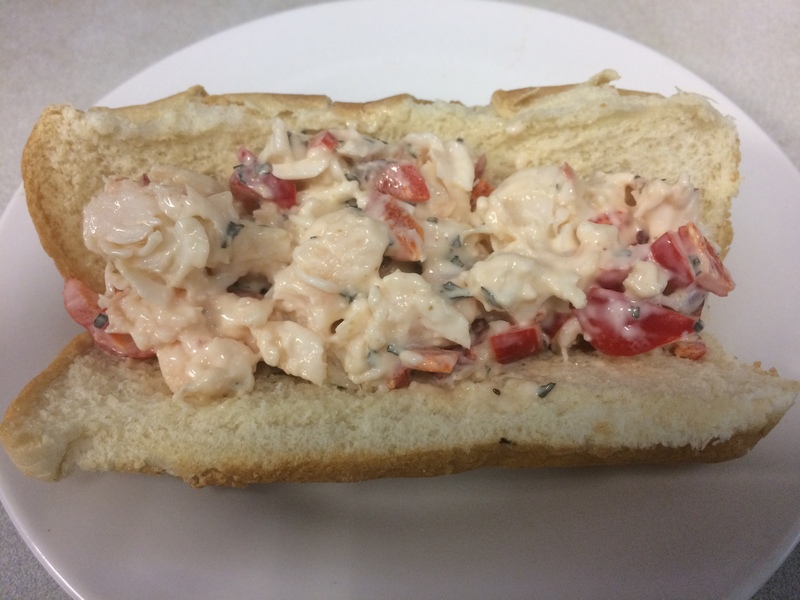 But, I do like how this recipe brings out the flavor of the lobster without obscuring it in mayo like most lobster rolls. Ensure that lobster is completely thawed. Allow to thaw in the refrigerator or by gradually running warm water over the meat while in a sealed plastic bag. Don't use the microwave "defrost" setting, as this will precook part of the meat, resulting in overcooking! Bring a large pot of water to a boil. Sprinkle in kosher salt and thyme to season the water. Once water comes to a boil, add lobster tails, and reduce heat to low. The water should fully cover the lobster tails. Steam lobster tails for about 10 minutes. The color will change to a bright red. Check the flesh to see if it looks cooked. If the meat looks clear in any part, boil for an additional minute at a time and check again. While lobster tails are still hot, carefully cut them in half using kitchen shears. The lobster will continue to cook in the shell, resulting in overcooking, if you don't do this. Remove lobster from shell using a fork, Remove any broken pieces of the shell, then cut lobster in small chunks. Blend olive oil mayonnaise, chopped peppers, and Old Bay together, then mix in lobster pieces. Allow to fully cool in a refrigerator before serving. Serve on a hot dog bun, or enjoy on lettuce for a light salad.